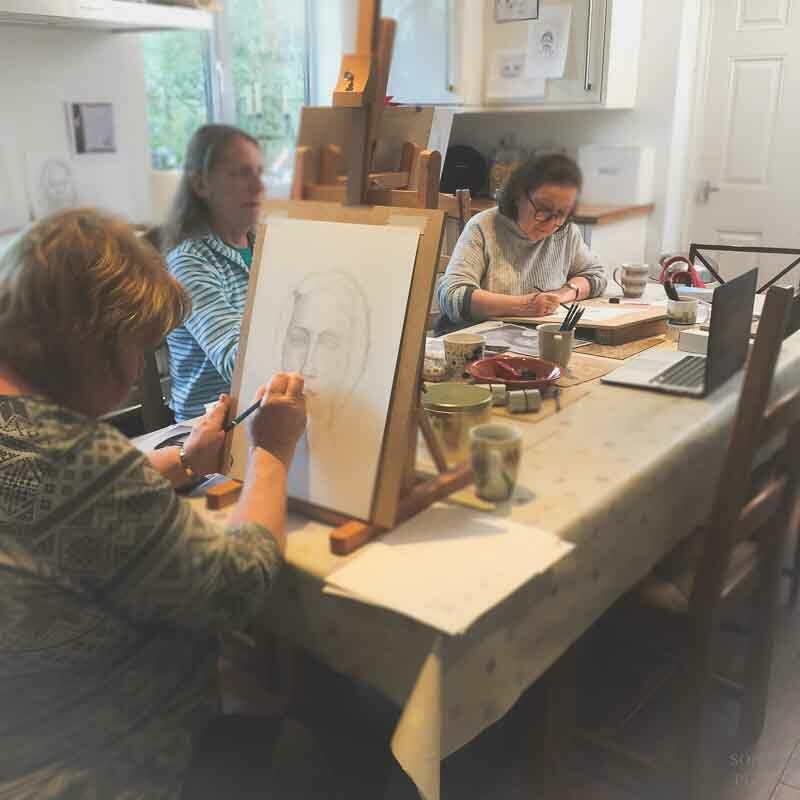 My art workshops in Thornbury, South Gloucestershire (near Bristol, UK) are informal but intensive sessions in small groups of just 4 or 5 students. I will share my ideas on making art which I learned over the years. 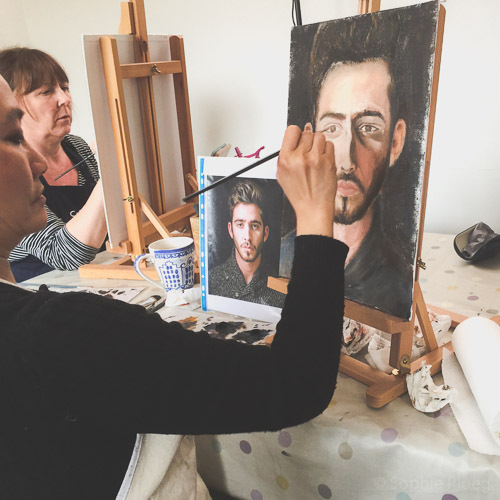 If you would like to learn to draw and paint realistically then please come along! 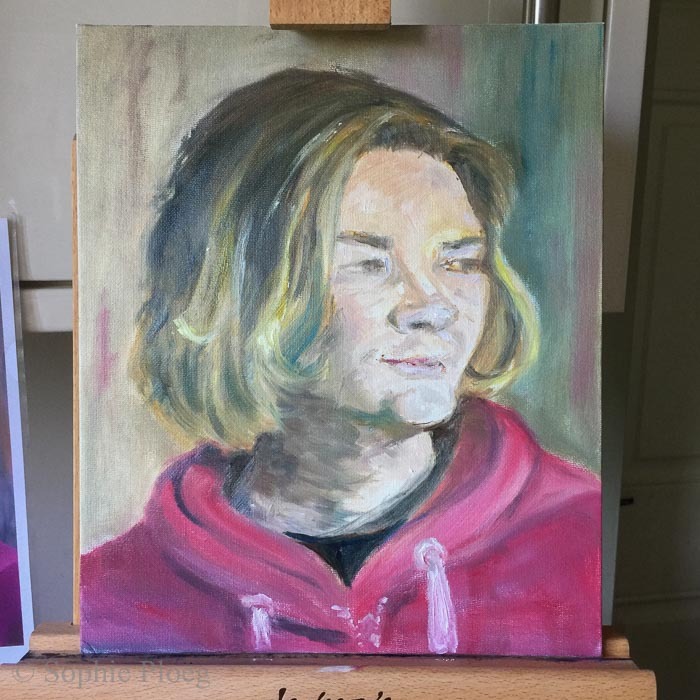 I have been painting and drawing full time for twelve years and am self-taught. 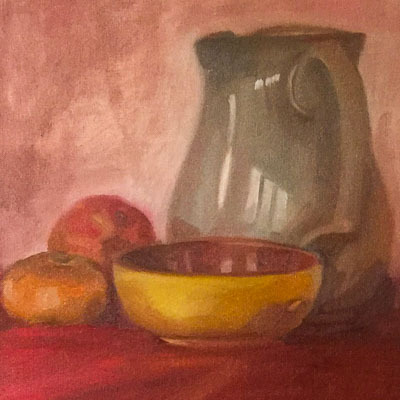 Before my artist life I studied art history (MA, PhD). 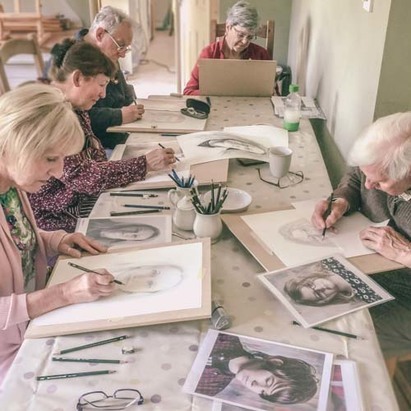 I have since exhibited my work at the BP Portrait Award, the Royal Society of Portrait Painters, the Pastel Society, the RWA and many other galleries and societies. I have gathered skills and knowledge through lots of practice and plenty of help. I hope to offer some help to others and make your journey as fulfilling as I possibly can. I will try and share what I have learned on how to draw and paint realistically. 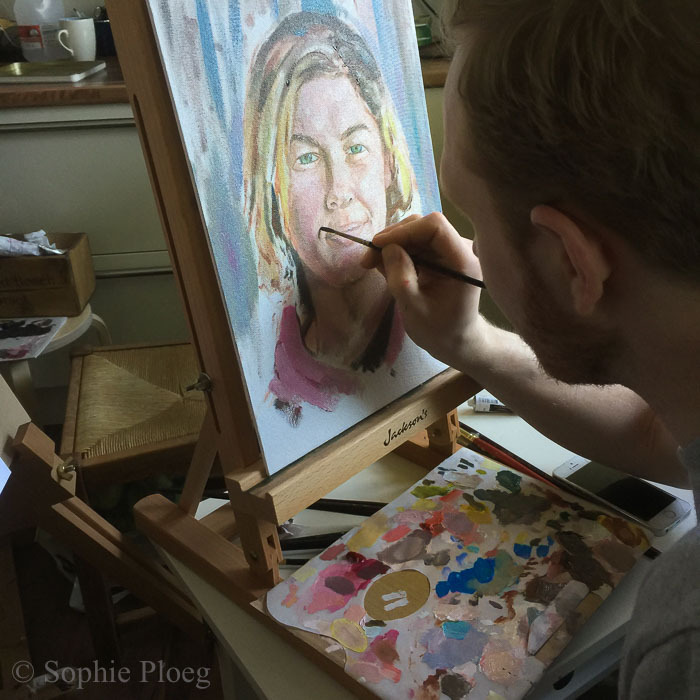 I will try to show you how I work towards a realistic drawing or painting, how to ‘see’, how to work with intent and dedication. 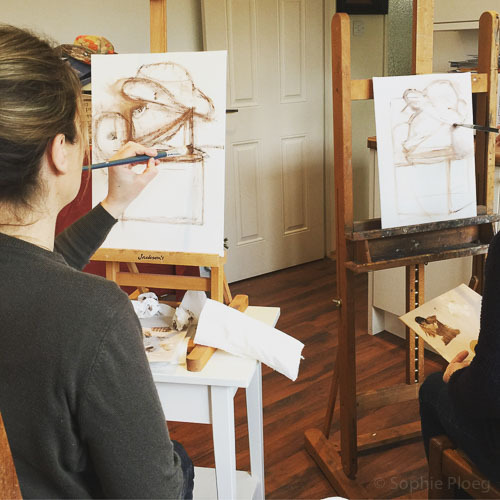 There will be no quick results but hopefully plenty of helpful ideas and methods to help develop your artwork in the future. The workshops, though serious in content, will be informal in execution. The small number of students will allow for a very personal environment. 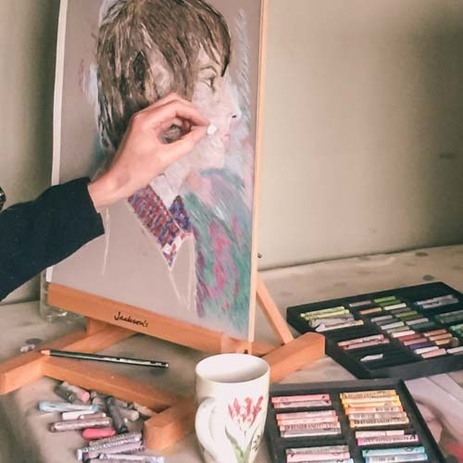 There are as many opinions about how to create art as there are artists. My way, therefore, is just my way and certainly not to be taken as the only way of doing things. 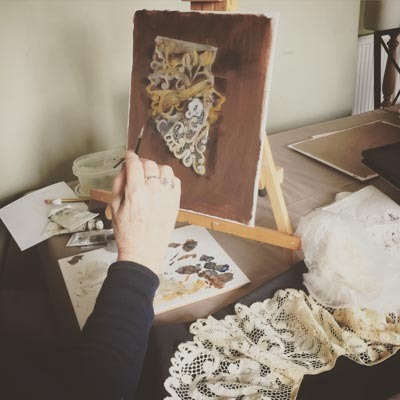 But if you like my work and want to have a go, then please join me! I am based in Thornbury, just north of Bristol. We will use my kitchen table (with my studio next door). 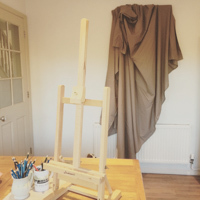 Space is very limited, especially when working with still lives and table easels, but hopefully you will help me manage! You can park on my drive and there is plenty of on-street parking. Materials are provided for use during some of the workshops (please check individual workshops!). Table easels are available. Coffee and tea are included, but please bring your own packed lunch. If the weather is good you can enjoy the garden during breaks. 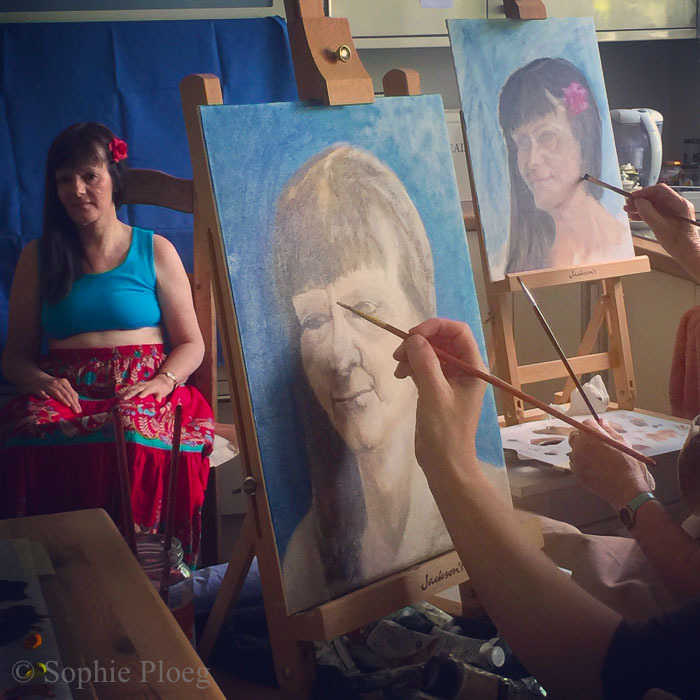 Workshop prices vary (see individual workshops) ranging from £65 – £90. Please pay a minimum of 50% or the full amount to reserve your place. The balance must be paid at least 2 weeks before the workshop. Payment via cheque, bank transfer or Paypal. If I cannot achieve a sufficient amount of students, the workshop will be cancelled and you will be refunded in full. I cannot refund if you cancel within 2 weeks of the workshop, unless someone else can take your place.
! No turps or solvents! Please do not bring any toxic solvents or mediums. I do not tolerate them very well and we would like to keep the air clean as we spend all day in there. We have our lunch in the same small space. We can wipe clean brushes on kitchen roll and if needed a quick clean in solvent (provided) at the end of the day. Sorry, there are no workshops planned at the moment. 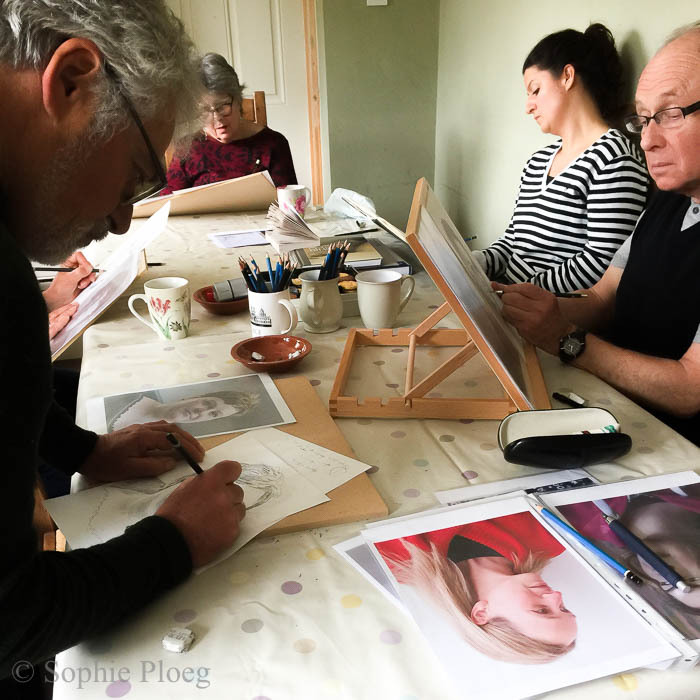 Learn to draw portraits using the classical method! 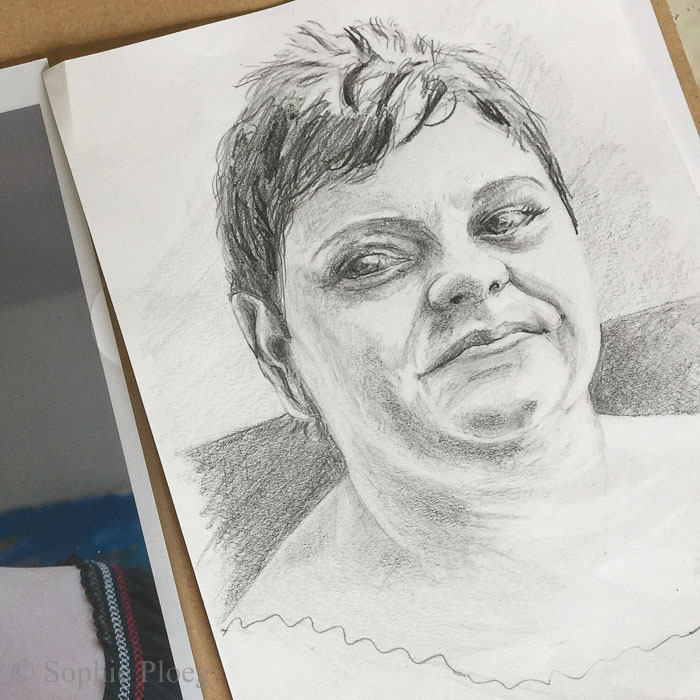 We will dive in drawing portraits together and focus on proportion, line, shapes, lights & darks and edges, using the classical method. 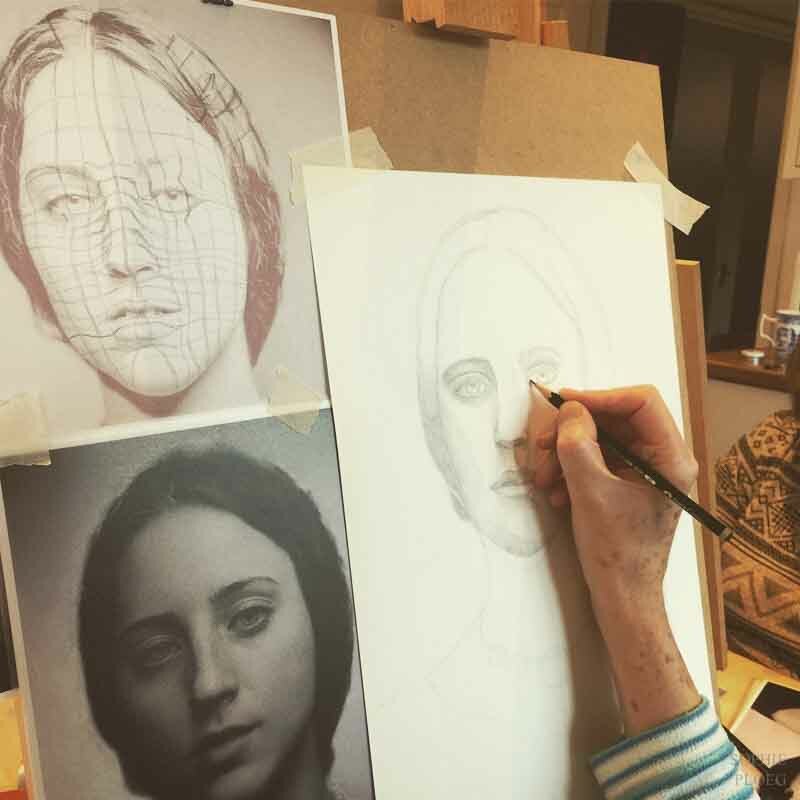 This method will help you improve getting a likeness, no matter what you are drawing. We will mostly use graphite pencils but pen, pastel pencils or charcoal pencils are welcome too. We will work on a single drawing for most of the day. We will work from photos that I provide for you. Improve your technical skills and make use of them in any other media or subject matter in the future. Please fill in the Booking Form and you can pay via the the button below. You can also pay via bank transfer, cheque or use the button to pay with your credit/debit card via Paypal. You do not need a Paypal account for this. The folds and creases of a simple piece of fabric! So beautiful yet so hard to paint? The old masters often created the most amazing drapery studies so why don’t we have a go ourselves. 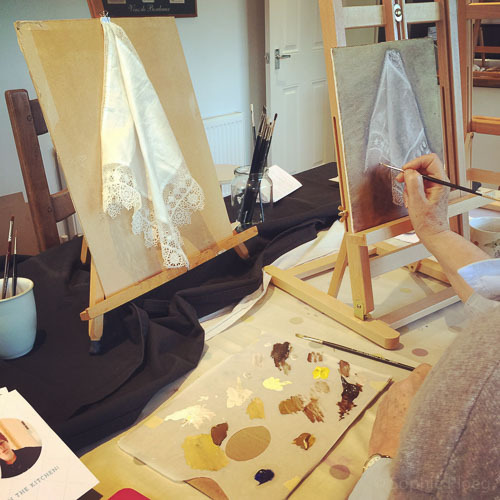 With a fairly limited palette we will tackle the challenges of a large piece of drapery with oil paint. Values and form will be the top of the agenda! 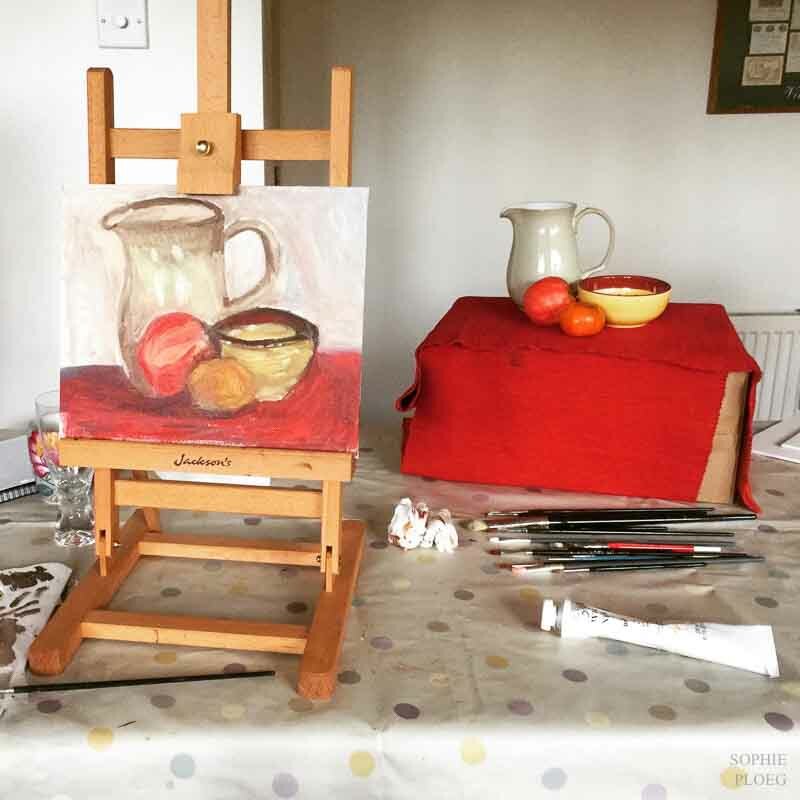 Working on a colourful still life. Perfect if you are just starting out. 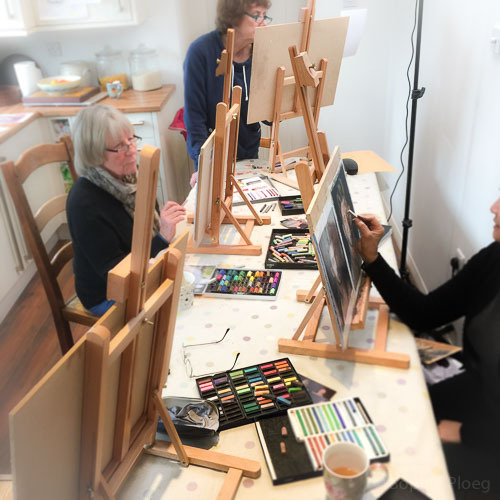 I will help you figure out how to mix your colours, how to set up your painting, and how to avoid mud. I will do a short demo to give you some ideas on how to go about things and will be hands on with help and suggestions. 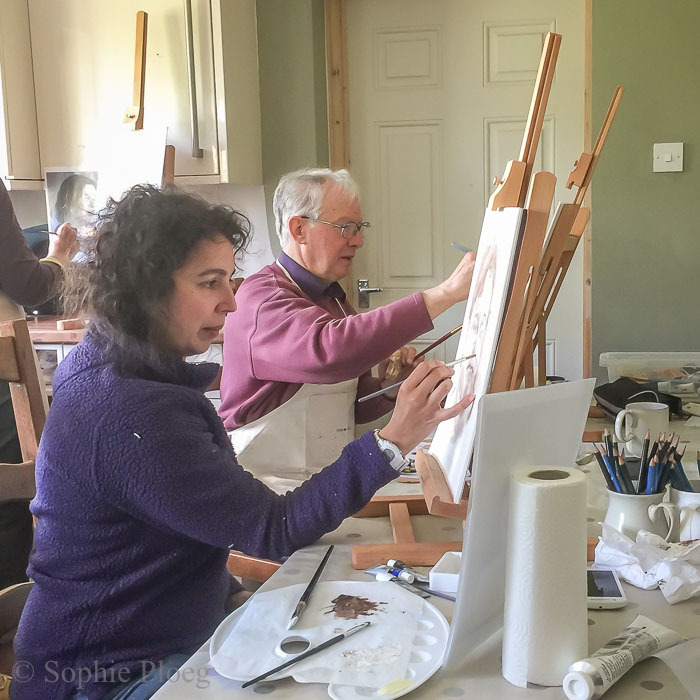 Perfect follow up from ‘Oil Painting for Beginners’ ! Thank you for taking part in my workshop. I really hope you enjoyed yourself and learned something along the way. I very much need your feedback to be able to improve what I offer you and future students. Please let me know how you found the workshop, whether you missed anything, particular enjoyed something etc etc. All comments very welcome! 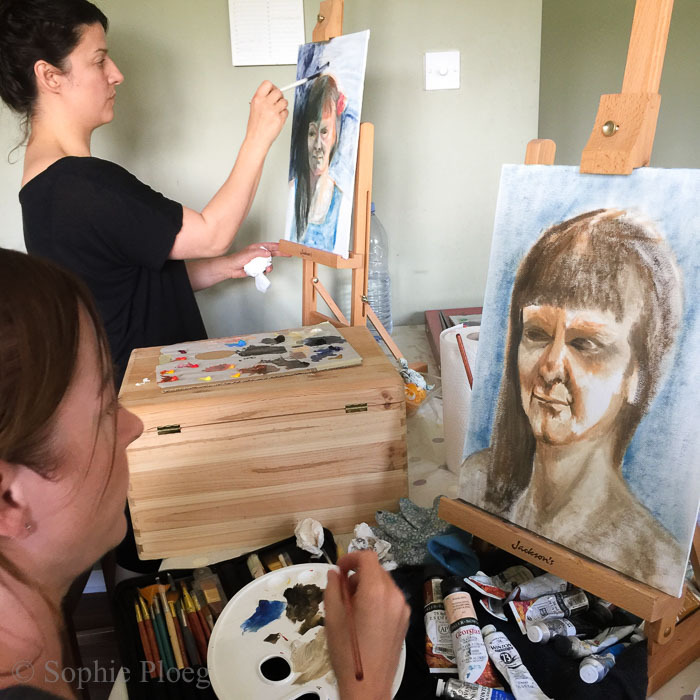 I thought Sophie was a very good teacher - giving good advice and inspiration, and challenging us. The course content preparation and planning were excellent and well thought through. Information was delivered at an appropriate pace and we were allowed to get on with it with out fuss. Lots of materials provided and books to guide us as well as Sophie keeping a watchful eye! thoroughly enjoyed all and learnt a lot. I particularly liked the informal and friendly atmosphere.